Fennel is a plant that originated in the Mediterranean. It has been used as a vegetable and spice since ancient times. The Greeks and Romans were not only very fond of it, they also recognized its medicinal value, especially as an antidote to snake bites and scorpion stings. Up until the 1970s, fennel was only cultivated in the Mediterranean basin. Nowadays however, it’s grown even in North America – although Italy remains the country that produces and consumes it the most. Its mellow and slightly sweet taste is similar to that of anise or licorice (that’s why people sometimes call it anise by mistake). Rich in fibers, vitamins and minerals, it contains very few calories. It is best consumed raw in salads, and as a side dish with fish or meat. 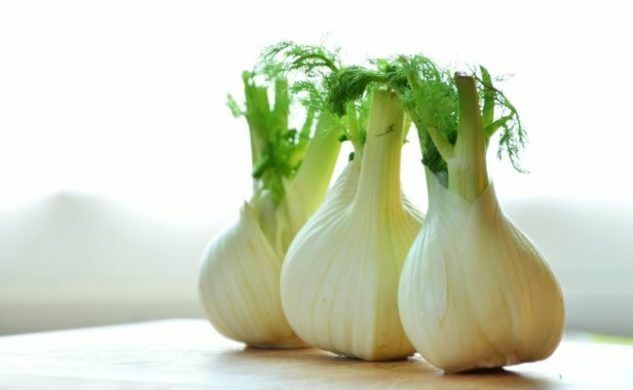 When buying fennel, select small white or light green bulbs, which are firm and don’t have any yellowish marks on them. It is widely available during winter. It can be stored in the refrigerator for about a week. Originally published in the Journal de Montréal on February 7, 2009.